This car, a superbly-presented 1969 example, recently left its former Californian home bound for UK shores and is one of the star cars on offer at Historics late summer sale at Brooklands Museum on Saturday, August 30th. The De Tomaso Mangusta (‘mongoose’ in Italian) was a true icon of sixties Italian automotive design. Just 401 examples were built from 1967-1971 and over 250 were sold in the USA. A bizarre fact is that it’s illegal to import most species of Mongoose (of the furry mammal variety) into the USA. Ironic, as back in the late sixties the De Tomaso Mangusta, made it’s way over from Italy and gave the North American supercar establishment a serious fright. The Mangusta was the brainchild of Argentinian racing driver, Alejandro de Tomaso. 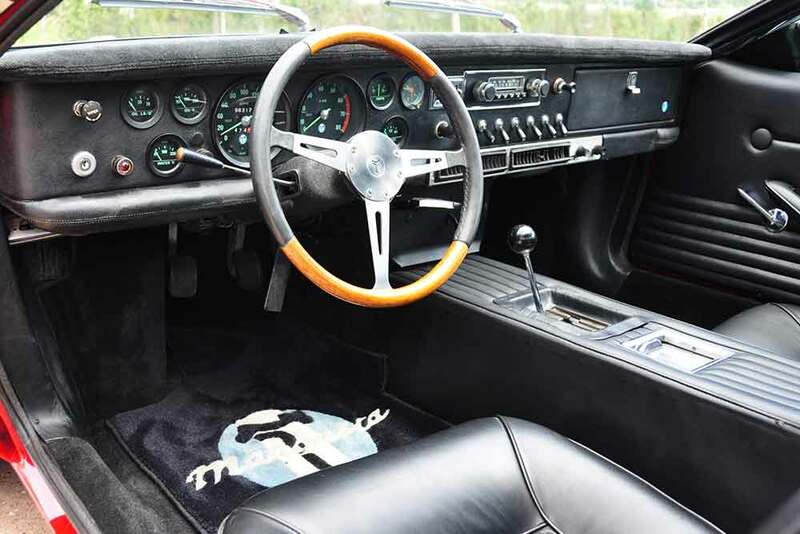 He moved to Italy first to develop his own competition cars before he turning his talents to creating road cars and the Mangusta was his first. The design credentials of the Mangusta are impeccable. Penned by Italian styling maestro Giorgetto Giugiaro and built by legendary Turin coach builder Ghia. The timeless design is a tribute to Giugiaro’s supreme talent. Sitting just 3 inches taller than the Ford GT40, the gullwing doors over the engine bay are simply spectacular. De Tomaso chose to power the mid-engined Mangusta not with a home-grown European-sourced engine but an all-American Ford V8. 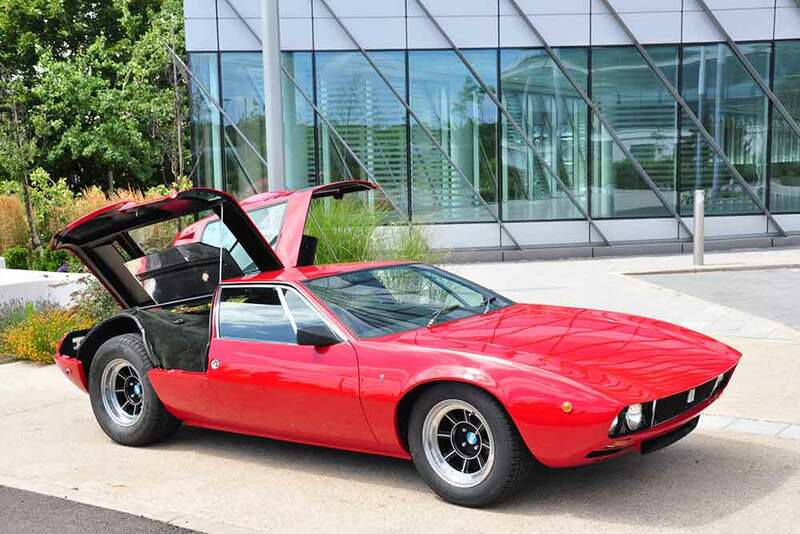 Not only did US car fans adore this but it had the added bonus that when it came to servicing, it was far cheaper to keep a Mangusta on the road compared with it’s Italian rivals. 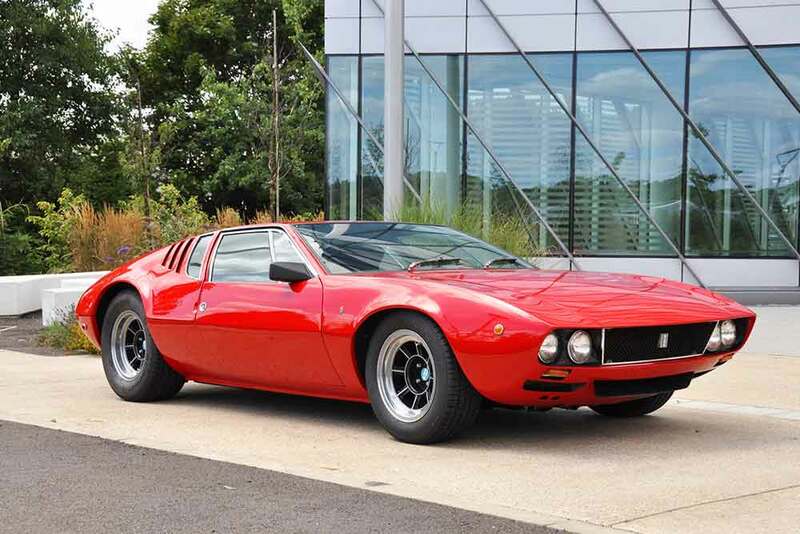 This two-owner-from-new, red Mangusta offered by Historics is now registered in the UK and in magnificent condition. 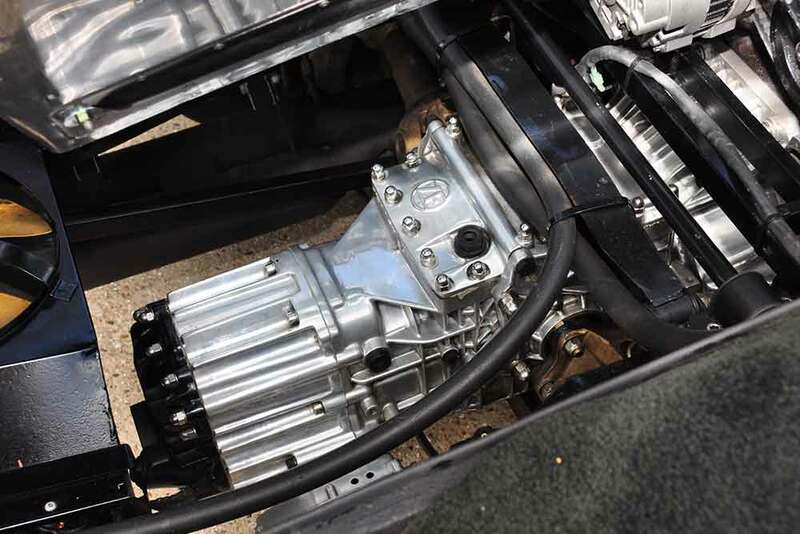 The 4.9 litre Ford V8, mated to a five-speed ZF gearbox, apparently starts instantly and boasts documentation stretching back over 30 years, highlighting the enormous amount of professional care that has been lavished upon this car over the years. The car is well-equipped, with a grey leather interior and air conditioning. With estimates of just 250 De Tomaso Mangustas remaining worldwide, exclusivity is assured. Values for these cars are rising fast and Historics expect the hammer to fall on this car somewhere between £210,00 and £245,000. 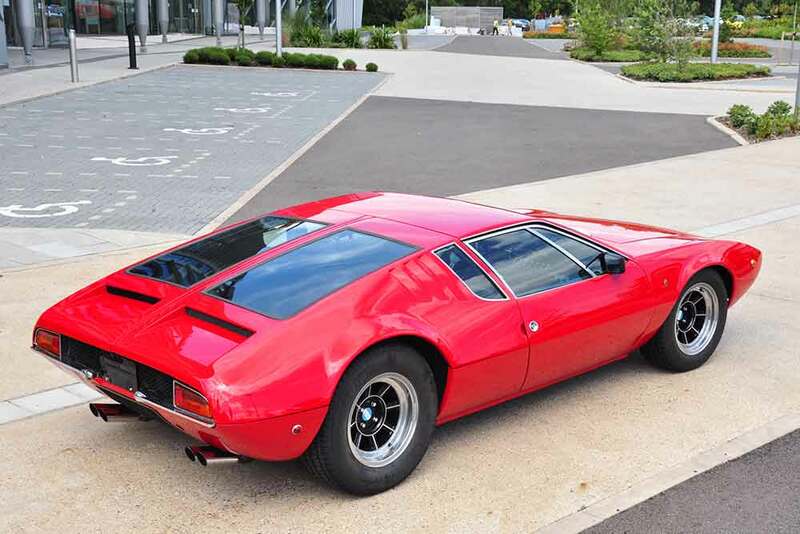 The Mangusta is one of the, 160 classic and interesting, cars on offer at Historics’ late summer sale at Brooklands Museum on Saturday August 30th, with viewing available the previous day.